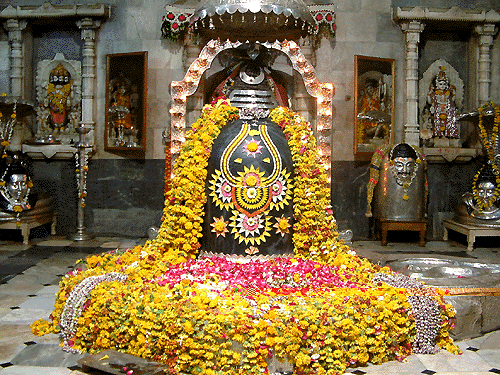 Somnath Temple Jyotirlinga occupies first place out of 12 Jyotirlingas. According to Shiv Purana, Moon (Chandrama) was the son-in-law of King Daksha Prajapati and was married to 27 daughters of Daksha Prajapati. Moon (Chandrama) used to love Rohini the most out of his 27 wives and did not give due attention to the remaining 26 daughters of King Daksh. Even after passing a considerable amount of time, when there was no change in behavior of Moon (Chandrama), one day Dakra Prajapati called Moon (Chandrama) to talk about this subject. He requested Moon that he should pay attention to the other 26 wives also. This thing was not liked by Moon, and it was a matter of dispute between Dave Prajapati. Moon (Chandrama) decided to sacrifice all his 26 wifes and move ahead with Rohini. The moon remained firm on his decision to sacrifice his 26 wives, on this decision Daksh Prajapati cursed him that Moon will lose all his shine and radiance and that its existence will end. Soon due to the curse Moon became dark and did not even appear. Moon (Chandra) went came to Somnath with his wife Rohini, and became absorbed in the worship of Parsa Lingam. Pleased with his devotion, Shiva blessed Moon, that he would be able to return to his form, but as the curse of Daksha Prajapati must also be respected and due to that the nature of the moon will not be the same. Moon will change its form every day and once in a month it will completely disappear and will be able to completely shining only 1 time in a span of a month. Chandra considered gratitude to Shiva and urged him to reside in Somnath, Shiva accepted the request and also took the name of Somchandra. Somnath Jyotirlinga has suffered many attacks and many times in the past. Many times this temple was demolished and damaged by Muslim invaders and the Portuguese. In May 1951, the Somnath Temple was reconstructed in the Chalukya style of architecture and it can still be seen in its form. Reconstruction was started as per the instructions of the first home minister of independent India, Sardar Vallabh Bhai Patel.